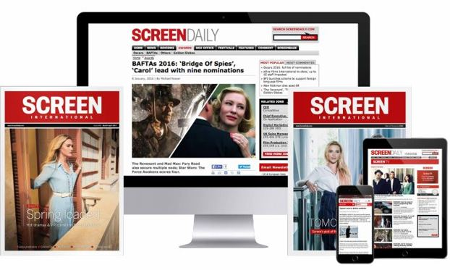 At the UK Cinema Association (UKCA) conference in London yesterday (March 6), digital experts said the UK film industry is failing to harness social media to help sell cinema tickets. Despite the ubiquitous presence of social media such as Facebook and Twitter, particularly among younger generations, only 0.6% of online ticket sales in the UK are driven by those platforms. That statistic came from Stan Ruszkowski of Webedia Movies Pro, a company which works across digital solutions for the cinema sector including digital marketing, ticketing, publishing, business intelligence and data services. He noted that search traffic (i.e. Google and its competitors) drives 78% of online ticket sales, including through the showtimes listed directly in those search engines, which Webedia oversees in the UK. Further online sales are driven by direct traffic (15%), which is when users visit a cinema’s website directly, referrals (5.3%), which accounts for third-party websites including IMDB, and email (0.38%). “Facebook is a huge opportunity,” he said, adding that the widespread consumption of film trailers on the platform was not being capitalised on because consumers “have to go elsewhere to buy tickets”, insisting that this was leading to a “20% drop-off”. Ste Thompson from creative studio Powster, which works on digital marketing for film companies and is also responsible for creating the majority of bespoke websites for individual films (which include ticketing functionality) added that his company has been working hard to “enable the discovery of cinema through social platforms”. He said that Powster has been working with Facebook, Twitter and Snapchat to design integrated ticketing functionality. Thompson said that there was particular potential in the Facebook Messenger platform – he claimed that “50% of all group chats on Messenger mention movies at some point” – and that Powster has now delivered an interactive booking system for use on that platform. “It’s about making it easy for the consumer, it’s about that end-to-end experience, seamlessly seeing a trailer and then buying a ticket,” added Ruszkowski. Derren Sequeira, Facebook UK’s entertainment lead, said that the platform is “closer than we ever have been [to that experience]”, adding that “the technology is now there”. A stumbling block to the integration of cinema ticketing systems into social media platforms to-date has been the question around who owns the data, a particularly thorny issue in the face of the new GDPR regulations, which will tighten companies’ usage of personal data. The question so far has been who owns the customer data, with exhibitors unwilling to give up control of the information they have on their audiences. Separately, UKCA chief Phil Clapp noted that his organisation would be speaking to exhibitors to help them implement a “sensible and proportional approach to GDPR”. Ruszkowski insisted that, for data collected by ticket sales, “the solution is now on the table” and that the companies integrating the booking software have now created fluid systems that allow exhibitors to remain ’merchants of records’. “Exhibitors will feel comfortable with the solution,” he added. Chris Green, marketing director at 20th Century Fox, agreed that a solution is “nearly there”. “For obvious commercial reasons, exhibitors wont share databases, but the tech partners are now at a place where that information can be black-boxed, so everyone knows what has happened [in the transaction] but cinemas retain customers information,” he commented. While it is not known how much benefit could be seen from the integration of ticketing systems into social media platforms, the panellists uniformly agreed that the 0.6% figure can be greatly improved upon. Ruszkowski highlighted that the Ticketmaster online platform, which allows people to book tickets for local events such as concerts, now does 5-6% of its sales through social media, illustrating the potential for the cinema industry.